Why Choose CRM for Accounting? We can romanticise it all we want, but the business world comes down to two simple things: customers and revenue. It's how it always was, and how it will remain in the future. Luckily, today's digital age has equipped us with technology that makes these goals so much more achievable. In 2013, Gartner Research predicted that CRM will grow to encompass a world-wide market of approximately $36 billion. Today, it is a synonym for success. But, did you know that cutting-edge solutions go beyond customer-oriented tools? Whether you're a bookkeeper behind an enterprising businessman, or an independent accounting firm with clients of its own, CRM can make your customers happy and your books tidier. Here's how. 1. What is a CRM? A CRM is an acronym that stands for "customer relationship management", but we also use it to describe software technologies that allow us to optimize different aspects of our business, mainly sales, marketing and customer support. Even though their main purpose is to provide a central location for managing various customer interactions, modern CRM systems are so much more than that. 2. Why Would an Accountant Need One? When manual, accurate bookkeeping takes time and effort. Like any other administrative work, it can be tedious, repetitive, and error-prone. Whether you're entering income data, categorizing expense information, trying to determine which outgoing payments match up with the goods and services you bought, or aiming to pinpoint which bank payments you receive match the invoices you sent, you cannot get very far very fast without automation. But, why use a CRM when there are accounting software systems made especially for streamlining these operations? If somebody's advised you to consider this solution, it may be for one of the following reasons. ● Your client base has grown enough and your contact list now has to be managed in a cleaner, more efficient way. ● You're starting to lose track of your clients and their billing info. ● You're looking to automate accounting, improve customer relationships and increase sales, which are basically the three pillars of a successful business. 3. How Can Core CRM Features Improve Accounting? A CRM is built around a customer contact list: its features use that data to improve your business through marketing, sales funnel management, and customer support. But, the accounting part of your business contributes to customer satisfaction too, though in a less obvious way. Since these aspects cannot be separated, CRM comes as a powerful and convenient all-in-one solution for those who want to manage them all from a single, centralized platform, instead of having to keep switching between multiple applications and paying for them individually. Whether you're running a sales business and looking to employ a CRM that all of your departments, including accounting, can use, or are a head of an accounting firm that caters to the bookkeeping needs of other companies, you'll certainly need a system for maintaining and growing your client base. When it comes to managing one, CRMs are simply indispensable. In addition to storing customer data, this software equips you with tools for analysis and reporting as well. You'll be able to keep track of all interactions a client makes with your company, and immediately take action if needed - add notes, assign tasks, schedule meetings, and email or phone clients. A CRM doesn't only cover interaction with your current clients; it should help you with marketing your business, too. They come with a handy set of targeting and prospecting tools, so that you can identify your leads and include them to your email marketing list, then schedule campaigns for automatic sending. This feature might be originally intended for sales teams, but it certainly helps accountants to do their job too. The sales funnel gives a valuable insight into transactions in progress, and so does a table of numeric values displayed bellow. Similarly to sales pipelines, CRM dashboards allow salesmen to stay on top of their accounts at a single glance. While they'll use it for tracking their performance, accountants can access a dashboard to get a sense of how many clients haven't been invoiced yet. What differentiates the best CRM solutions from average ones is an open channels functionality. Primarily developed for customer support reps, this feature can be used by accountants to build and maintain long-lasting client relationships. Just like its name says, the open channel CRM centralizes different routes of communication - social networks, instant messengers, emails and telephony, just to name a few - allowing customer reps and accountants to stay in touch with their clients whenever, wherever. CRMs offer plenty of storage space for all of your accounting documents, but it's even more important that you can grant limited access to clients as external users. That way, they can access their payment info without having to call or email you first. 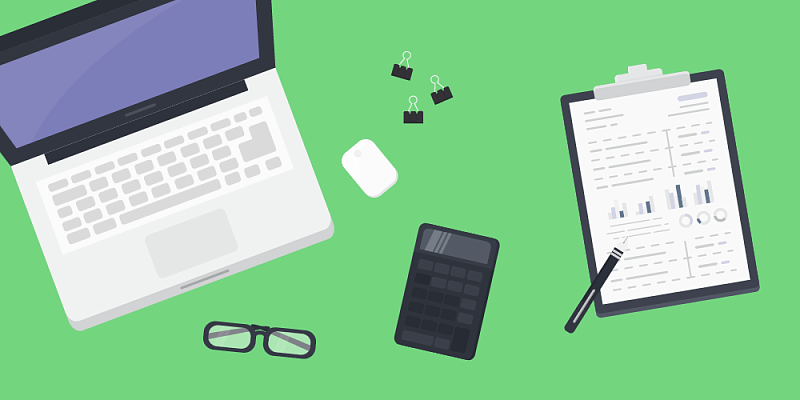 Other features that haven't been designed specifically for bookkeeping, but that bookkeepers can still make use of, are group calendars, team dashboards, task managers and time trackers. As organizing tools that streamline operations and boost performance, they help accountants do their jobs more efficiently, thus saving the time, money and energy they invest into their work. With their calendars and to-do lists sorted out, bookkeepers can commit to actual bookkeeping without any distractions. Simply attach an activity to a chosen deal, contact or client, and enter a to-do list to see what's been completed, what's currently in progress and what's yet to be done. Task managers and scheduling tools vary from one CRM to another, but they are always incredibly easy to use. To accountants, they offer transparency and visualization needed for making long workhours more productive. While CRM dashboards provide an overview of the entire sales pipeline, reminders and notifications help accountants stay in sync with individual deals and accounts. In case there's an invoice that hasn't been sent yet, this feature will send a reminder straight to your inbox. One can argue that an accountant's job comes with the greatest responsibilities, but that still doesn't mean they have all the right answers. Bookkeeping is only as good as it is in unison with sales and marketing, which is why CRM collaboration features like instant messaging are of crucial importance. They allow real-time communication between teams and departments, something that every busy employee needs. Of course, there isn't much point in implementing a CRM for accounting purposes if there aren't any features developed specifically for bookkeeping. But, wait, there are! CRMs offer a set of handy tools for managing incomes and expenses too, so that your firm can track its cash flow from the same platform it uses for handling sales and marketing. Once you're able to manage payment details - business registration numbers, VAT IDs, tax IDs, routing numbers, bank addresses, and bank accounts - from the same software you use for staying on top of your customer records, you can easily mail quotes and estimates to clients, and convert them into invoices when the deal is finally sealed. This possibility doesn't only keep your books organized, but makes doing business with your company easy and pleasurable. If you are a kind of firm that invoices their customers on a weekly or monthly basis, you simply cannot afford to miss out on recurring invoices. With the right CRM, they will be emailed whenever you schedule them for sending, be that every other Monday, or the beginning of each month. It's a tiny, but crucial addition to customer relationship management systems, since it guarantees that you're paid on time without any exceptions. Though CRMs can handle much of your accounting tasks on their own, it's always nice to have software that's easy to integrate with other useful systems. If there is an accounting tool or a payment system you already use, but want to integrate it with your customer records from the CRM for more possibilities and enhanced performance, you can do that too. Look for solutions that offer seamless integrations with Sage One, Xero or FreshBooks at least, since these accounting tools are currently considered the best on the market. At last, every aspect of business is customer-oriented, and accounting is no exception. Being an all-in-one solution that guarantees efficiency to both your bookkeepers and your clientele, CRMs are certainly worth exploring. Bitrix24 is a free CRM for accountants. Using PCI compliant AWS datacenters, it comes with unlimited client records, quotes, invoices, tasks, documents scheduling and time tracking even in the free version. Use promocode TIP10 when registering your free Bitrix24 account to get extra 10GB.